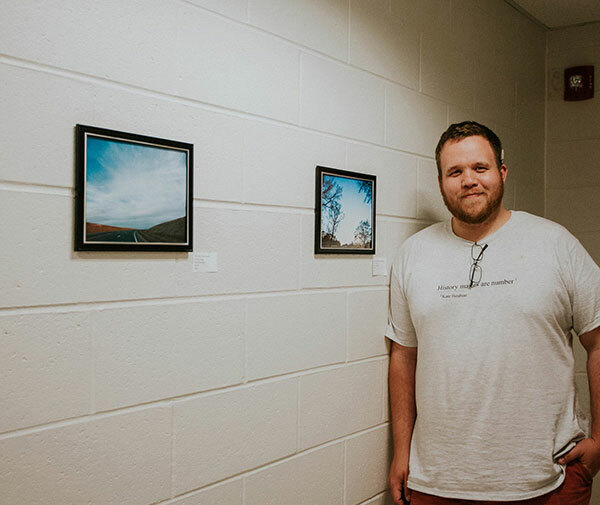 Combining his love of history and photography, senior John Legg is collaborating on a book with an MGA professor. Full Name: John Robert Legg. Hometown: Hartland, Mich., 30 minutes south of Flint. High School: Hartland High School. college and my work in photography." (2015) of the History Student Organization, 2015 Undergraduate Showcase Art Show participant. Southeast: The Carolinas,' which depicts historic images from around North and South Carolina. took Dr. Eichhorn's “College on the Move” traveling history trip." teaching at the university level, helping students understand the past in a different way." The greatest thing he discovered about Middle Georgia State was ... "The academic experiences. I uncovered the public memory and commemoration of the U.S.-Dakota War of 1862, something that has been written on very minimally. As the semester mingled along, the constant support from Dr. Niels Eichhorn and Dr. Matthew Zimmerman continued to keep my mind focused. I was awarded a travel stipend, and also took second place out of close to 80 students at the QEP Undergraduate Showcase. Since this research project, the Brown County Historical Society, along with the Minnesota Historical Society, garnered interest in my work and both have plans to have me present during a public forum sometime soon. In my mind, I have gained respect from my mentors in the History department, as well as made several new friends." to my limits, and because of that, I have been able to push through the tough times to succeed." hobby that helps me whenever I feel stressed." and helping members of the public learn more about historic sites right around their corner."